ShopSmall is a mantra we should all share, especially for your small, local business. You should accept all the support you can get – from your suppliers, vendors, manufacturers, service providers and of course, your customers. 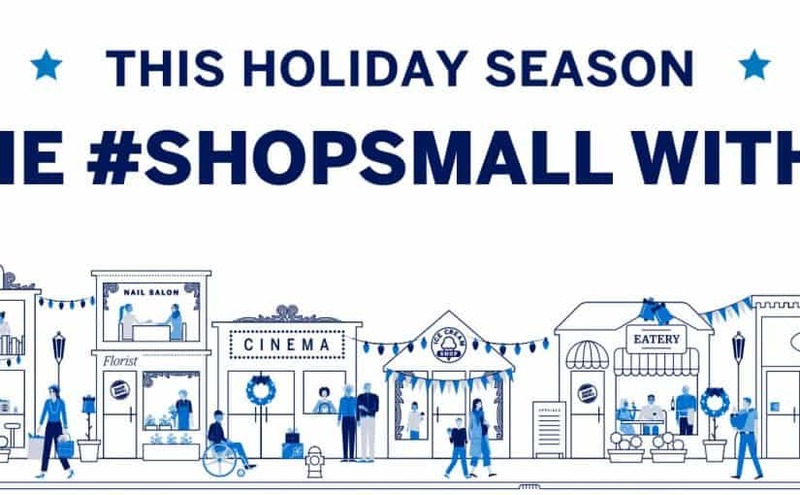 This month, on the heels of #ShopSmall, American Express issued additional support for the Shop Small movement for the entire holiday season. While this has always been part of their goal with Small Business Saturday, they have not offered this type of specific marketing materials and design services to their clients – the retailers, the restaurant owners and even the local consultants and service providers – until now. This week, to anyone who leveraged their services for ShopSmall and Small Business Saturday, they opened up their design studio again to help promote local shopping and local customer support for the holidays. If you are interested in using and downloading materials visit their site and set them up now. You still have plenty of prime shopping days left this season, for both Hanukkah and Christmas and all the days in between. If you are not a retailer or a restaurant, you can still work to make sure that your customers and clients know who you are, where you stand in the community and how you participate in ways to develop your local area. From small to medium sized firms…we can all use some help now and then. American Express is here to help and they are not the only ones. Remember, when you need help from the TransAct team, whether it is new options for credit card processing, merchant services, PCI compliance scans, Point-of-sale systems, inventory management or QuickBooks® integration – we are here to help our clients all year long. Our offer never ends after the holidays. Just reach out to Mary Ann and schedule a quick call today. We all like to ShopSmall and we do quite a lot of holiday shopping.